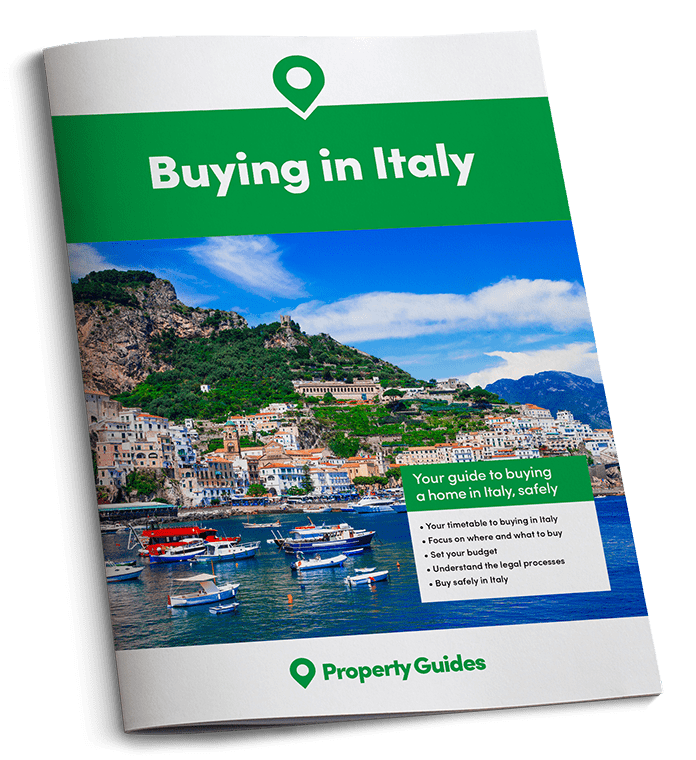 This week, in Part Three of our six-part guide, Buying in Italy, we’re looking at choosing an area. Deciding where to buy in Italy can be difficult – you’re spoilt for choice! Whether you like mountains or rolling hills, cityscape or sea view, Italy has a lot to offer home buyers. The developed north offers more work opportunities, while central regions have the countryside scenery and areas with established expat communities. If sea, sun and a slow pace of life is your desire then head to the sunny south. Some of the most popular areas for expats include Lake Como and Tuscany, with Abruzzo and Puglia also attracting buyers looking to get a bit more house for their money. If the landscape wasn’t enough Italy also boasts 53 UNESCO World Heritage Sites, more than any other country and great opportunities for anyone looking to buy a property with a tourist income. (And, if you’ve missed Part One on planning and decision-making, and Part Two on a timescale for buying, do make sure to check them out). Lake Garda and Lake Como in the Lombardy region are very popular places for anyone deciding where to buy in Italy. All the lakeside towns attract visitors throughout the year. Property prices can be high on the water’s edge, but the location is stunning. That’s why the likes of George Clooney have a home here. You can expect to pay from €150,000 for an apartment near Lake Como. Houses with direct access to the lake start at €550,000, but prices run into the millions for luxury villas. Around Como there are mountains, hills and valleys with varied building styles ranging from old Medieval village houses to elegant 18th-century villas. But if your dream lifestyle involves getting out and about by car, bike or even boat, you are guaranteed splendid views of unspoilt nature all around the Italian lakes. 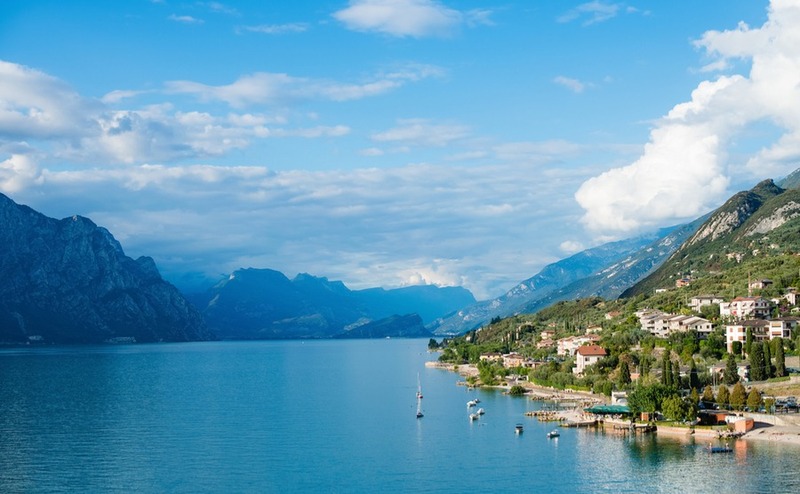 Could Lake Garda be the perfect place for you if you’re deciding where to buy in Italy? Among the most famous places are Bellagio, with its preserved historic centre surrounded by ancient city walls. There’s also Brunate, reached via the old funicular railway from Como. Even on a low budget, you can still find properties further up the hills. Many have wide panoramic views of the lake. Traditional houses in the hills and village houses to renovate can still be snapped up for under €150,000, but expect to pay over €370,000 for a house that is ready to move in, with a panoramic lake view. Also take a look at Lake Iseo, Lake Maggiore and Lake Orta (Piedmont). If you’d like to be within visiting distance of Rome you could also consider property near Lake Bracciano and the largest volcanic lake in Europe, Lake Bolsena in the Lazio region. If your dream lifestyle involves getting out and about by car, bike or even boat, you are guaranteed splendid views of unspoilt nature all around the Italian lakes. For spectacular Alpine scenery, fresh air, great hiking and world class skiing head to the Valle D’Aosta, Piedmont, Lombardy, Trentino-Alto Adige, Veneto and Friuli-Venezia Giulia. These northern regions are snuggled up against the Italian Alps and the famous Dolomite mountains. The further you go into the mountains, you will find the language and culture becomes more influenced by the countries that lie just across the border. The more off the beaten track you go, the cheaper the house prices. If you’re looking for advice on all areas of buying, from financial to legal specialisms, don’t miss your free tickets to the next Your Overseas Home shows. We’ll be there along with plenty of other sector experts..
You can find typical mountain cabins for sale, as well as apartments in the ski resort towns. The northern provinces always do well in the Quality of life survey produced by Italian newspaper “Il sole 24 ore”. In the latest survey, the popular Belluno province of the Dolomites won the top spot. Followed by Aosta, Sondrio, Bolzano and Trento. There are some pricey homes in the top resorts, such as Cortina d’Ampezzo. There, an apartment can cost over €750,000. But if you don’t mind being in a more remote location, it is still possible to find houses to renovate and apartments in traditional-style ski chalets for under €200,000. There are even renovation projects for around €50,000. The Apennine mountain range stretches right down through the Italian peninsula. This is where to go when you’re looking where to buy in Italy on a budget! House buyers can find mountain homes at very low prices, particularly in Umbria, Basilicata and Calabria. As a bonus, the climate is milder and offers opportunities to go hiking among unspoilt nature. The lush countryside of Umbria and Tuscany is well established as a favourite location for British buyers to escape to the country. More recently Ed Sheeran bought a home with a vineyard in an isolated location near Lake Trasimeno in Umbria. In the Province of Perugia, €300,000 will buy you a good-sized, stone-built country house. Just imagine sitting under the wisteria with your morning coffee looking out across silent rolling hills. If you want to get away from where all the British are and live an authentic Italian lifestyle among the locals, you’ve plenty of choice. Le Marche and Lazio have some good value properties. Emilia-Romagna offers a varied landscape with easy access to the beaches, cities and the mountains of the north. In most regions, you will find character stone farm houses to suite every budget. It is very difficult to give average prices as even within one province they can vary greatly depending largely on location and the condition of the property. You can still find some lovely large country houses. However, those in the best locations will get snapped up first and many in the lower price ranges do require money spent on major renovation work. Many people thinking about where to buy in Italy choose central locations that’re still out of the popular cities of Rome, Florence, Siena and Pisa. But, southern regions are becoming increasingly popular for their relaxed rural charm and Mediterranean climate. The Apulia region particularly is attracting those wanting an affordable country retreat in the sun. Many Brits buy both as holiday homes and as a place to retire to. You can find two-bedroom detached villas and traditional cone-roofed Trulli for under €150,000. If you want a very large property, follow Helen Mirren’s example and buy a masseria (fortified farm house). A 380 sq.m. masserie can cost from €300,000. The largest, fully renovated ones are worth millions. They convert well into charming countryside hotels with star vaulted ceilings, fireplaces and swimming pools. The big cities of Turin in Piedmont, Milan in Lombardy and Bologna in Emilia-Romagna are exactly what you expect from major European cities. As well as opportunities to work and study, they have the convenience of shops, restaurants, schools, hospitals and plenty of tourist attractions. 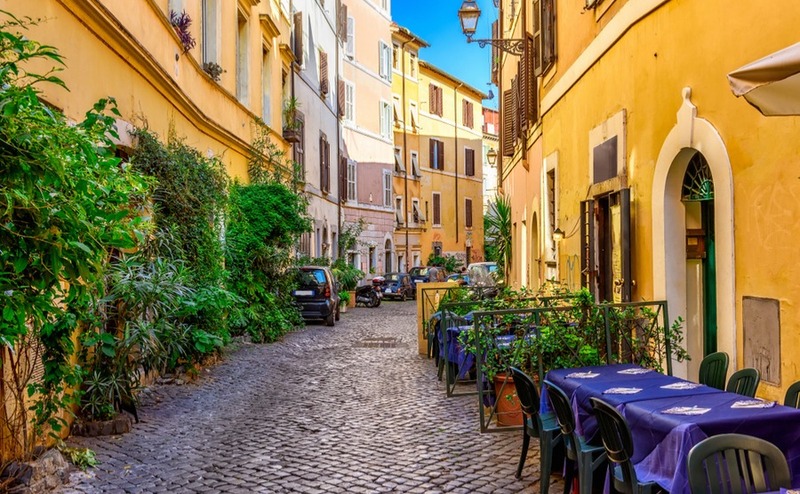 Could you see yourself living in Rome’s historic districts, like Trastevere here? Venice in the Veneto Region and Florence, Tuscany are as desirable as ever. They have some of the highest property prices, which continue to rise slightly. Holiday rental potential is very good as millions of visitors continue to be drawn to their unique architecture, art and cultural events. Life there must be like living in a historical painting. Our free property finder service is available to all our readers. All you need to do is to fill in the form with your requirements and our experienced Italy property hunter, Diana, will be in touch with you. Not to be forgotten is the capital city, Rome in Lazio. Where you can live and work in an area steeped in Roman history. According to a survey on expatistan.com housing in Rome is 36% cheaper than London and living costs 33% cheaper. You will also find a similar difference in property prices. Two-bedroom apartments can be found in the €500,000 – €700,000 price bracket. 20 minutes out from the centre, you can find them for as low as €200,000. As with the other cities, transport links are excellent and train services and flights are very affordable. With 7,600 km of coastline around Italy and its islands, there are plenty of seaside areas to choose from. The most famous sections of dramatic coastline are the Cinque Terre in Liguria and the Amalfi coast in Campania. Property can be expensive in these areas, but if you look further along the coast and inland the prices do come down. A 1-bedroom house in one of the pretty pastel coloured villages on the Ligurian coast can cost from €280,000, but for the same money you could get a 5-bedroom village house inland. Villas along the Amalfi coast run into the millions. For sunshine and beaches try the region of Apulia or the islands of Sicily and Sardinia. By looking along the coast from the main seaside towns, you will find smaller villages with affordable homes designed for simple summer living. Although some seaside villages are deserted outside July and August, it’s not so bad when you get a beach to yourself in June.